VISALIA – Greg Collins asked his fellow city councilmembers for a final vote on whether or not to further investigate an aquatics center. Not only did they say no, they voted not to discuss the item any further. Collins first floated the idea of an aquatics center in 2017 and asked the council to approve $25,000 to hire a consulting firm to look into the hard costs of building a city-owned facility. 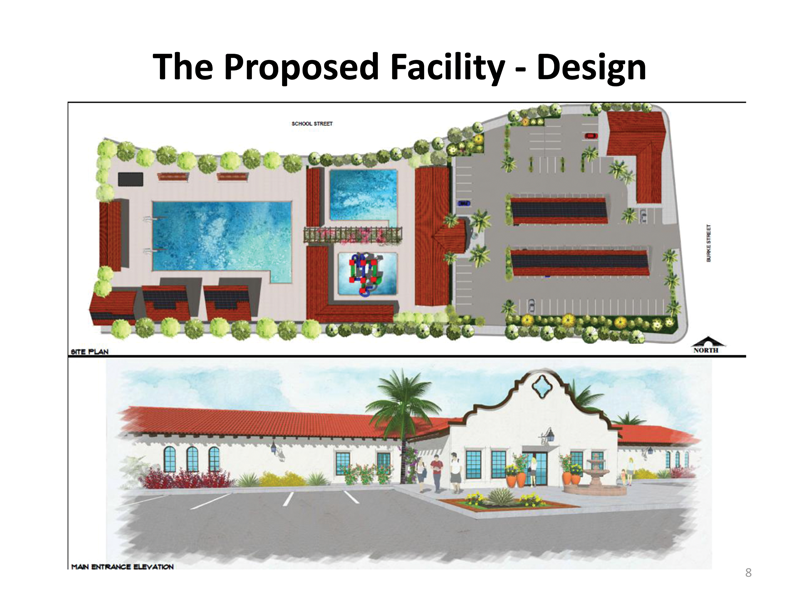 The aquatics center was originally proposed as a stand-alone facility for competition, recreation and rehabilitation on the dirt lot at the corner of Burke and Oak streets across from the Visalia’s Emergency Communications Center (VECC) which opened in 2017. The council had a little bit of sticker shock when the Aquatics Center Committee presented an estimated cost between $12 million and $15 million but were more concerned with the annual maintenance cost, estimated to be about a quarter of a million dollars per year or more. Last August, the council voted 4-1 to direct the Parks and Recreation Commission to study an aquatic facility and then report back in six months. That report happened on March 12 in a joint meeting between the council and the commission. The council did not take any action on the report, which Collins said left the issue without a resolution. “The community deserves some kind of finality,” said Collins, who asked for discussion of the report to put on a future city council meeting agenda. Councilmember Brian Poochigian pulled the item off of the consent calendar so there would be no confusion that the council was ready to pull the plug on the aquatics center. Vice Mayor Steven Nelsen said he felt the pool discussion had been drained to a final drop at the joint meeting after three years of discussions. He commended the Parks and Recreation Commission on providing a more thorough report and said he wasn’t against a pool or even spending millions on an aquatic center, but he was against spending between $400,000 to $600,000 per year out of the General Fund to maintain it. Mayor Bob Link said he would support having the Parks and Recreation Commission come back and present their report at a future meeting. He agreed the city should partner with the school district on a new pool rather than building one themselves. He said he will not support hiring a consulting firm to study the project, similar to ones that were done for the south side community center, emergency communications center, and the community center, which totaled more than $1.2 million. Nelsen said he could appreciate the mayor wanting to hear the presentation because he was unable to attend the joint meeting, but said no one councilmember should be able to grind the gears of city business to a halt. Collins said it was difficult to hear councilmembers refuse to study the center after allocating $35,000 to study a community center and recently broke ground on an $8.6 million project to build four lighted softball fields at Riverway Sports Park. “What’s good for one should be good for all,” said Collins who wanted to use a $1.5 million grant for the East Side Regional Park on an aquatics center instead. One of the few people to speak during public comment on the item was Harold Myers. He conceded that nearly everyone in town wants an aquatic center but there is a difference in what the city wants and what it needs. He said the council has had several discussions on a variety of projects but has settled on the need for a new public safety headquarters that will allow for more efficiency and coordination within the police and fire departments. Collins motioned to add a discussion of the aquatics center on a future meeting’s agenda. Mayor Link seconded the motion but failed 3-2.